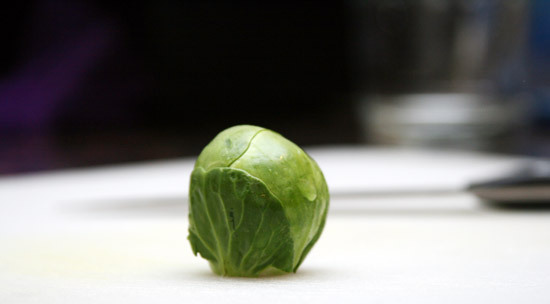 How did adorable Brussels get such a bad rap? Oh right, boiling them to into a stinking mass. The woeful things done to this delicious winter vegetable are a shame. But oh, a nice hot pan really brings out their sweetness. Toasty, charred, on the menu every night. Don't be overly concerned about the timing on these little fellows. The burned ones taste exactly like toasted marshmallows. I kid you not. I'd never ate or bought a single sprout in my life until last month. Who knew how they'd quickly become my favorite? Look for small, firm sprouts for the least bitter flavors. 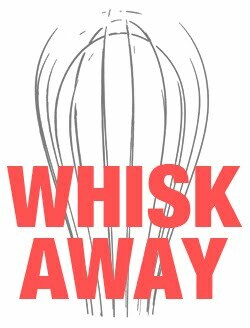 And join the campaign to lift this little guy off the blacklist. 1. Trim stem ends and remove loose outer leaves. Slice sprouts in half and toss in a bowl with a glug of olive oil. 2. Heat a bit more oil in a skillet over medium heat. When oil shimmers, add sprouts cut side down. 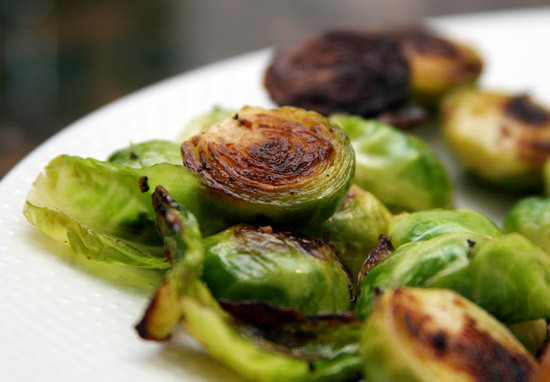 Sprinkle with salt & pepper and watch our for jumping Brussels! Any water left from washing will cause some to jump quite far. Cover with a lid and let brown undisturbed for five minutes or shorter if teeny tiny. 3. After five minutes, remove lid and stir/flip sprouts for a few more minutes of browning. Sprouts are done when tender at the pierce with a knife. Serve immediately with a sprinkle of grated cheese or stir into a pasta. Leftovers should be re-crisped in a skillet. Yum, I agree. Add shallots and/or bacon and you'll be eating Brussels sprouts every day! For serious, I also just discovered shallots. I used to think they were some froofy ingredient, but now I know how shallots kill both the garlic and the onion birds with a single stone. Awesome!